I'm a total neophyte who recently found an eight sided bottle on a site in Utica, NY where a home from the 1800's was demolished. It looks frosted/no color. There is a mold seam on both sides of the neck; but not on the lip. 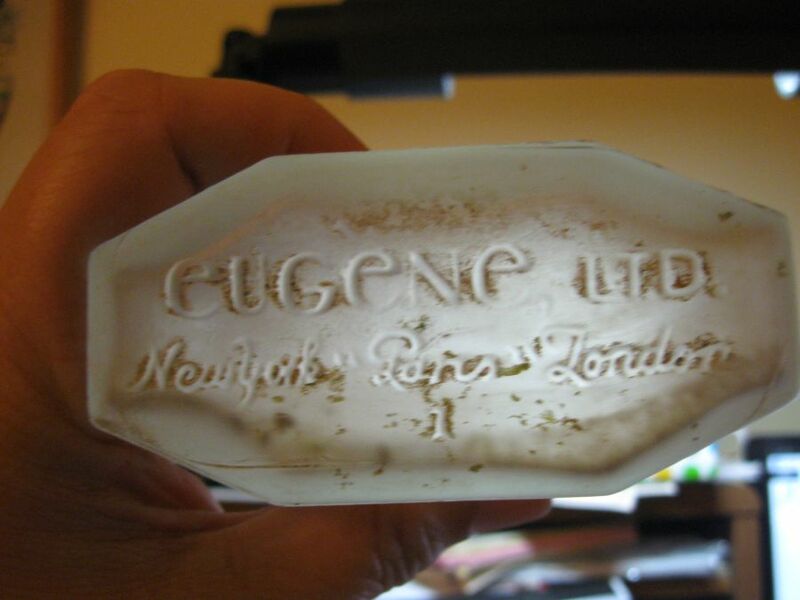 On the bottom it says "eugène LTD" with the lowercase "e", then underneath in a script font "New York | Paris | London" and under that centered “1”. I also have the cork. I can't find a reference to this...Anybody know where and when it is from? What it may be worth? Apparently this was a shampoo or hair product.